Egypt’s President Abdel-Fattah El-Sisi has announced that foreign nationals will be screened for hepatitis C as part of the current nationwide anti-hepatitis C campaign. Giving a speech at Sunday’s final session of the Arab and African Youth forum in Aswan, El-Sisi announced that the Egyptian government would launch a new phase of its “100 Million Lives” initiative to screen non-Egyptians staying in the country for the viral disease. Launched in October 2018, 100 Million Lives is the country’s largest ever anti-hepatitis campaign, and had screened nearly 30 million Egyptians as of last month. El-Sisi also declared that an Arab-African mechanism to fight terrorism and to work on empowering women and youth would be established. He also said that a new Egyptian-Sudanese forum was being prepared, to increase the coordination between the two countries. 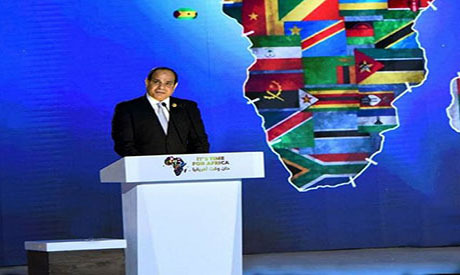 In his speech, El-Sisi called on Arab and African youth to hold on to their dreams, to be determined to achieve them, and to work hard to make their countries stable and more peaceful. President Abdel Fattah El-Sisi also honoured a number of distinguished youth figures from Egypt, the Arab world and Africa in military, media, telecommunications, architecture, IT, social media and sports.